Thank you everyone for hanging in there with me these three months and reading my writings and ramblings. It means so much! Thank you to my bloggy buddies that are so supportive and helpful. I’ve found that WP folk are for the most part kind, generous, creative geniuses. 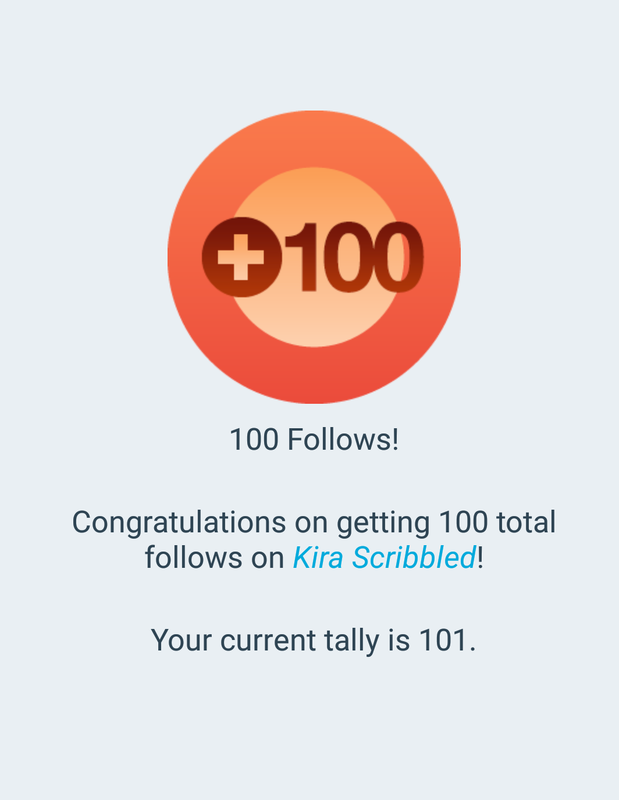 I didn’t really expect to make it to a hundred but I’m thrilled that I get a chance to show my creations to so many. It sure beats letting them rot away on my computer. He eventually scampered off, safe and sound after his battle with the giant machine. Cool picture and story—and congratulations on the subscriber milestone! Here’s to many more. Congratulations. Has it really only been three months? And I said you’re a genius, so it is so. Because I said so. I’m a mom. That’s how it works. Yeah it seems much much longer than that. Thanks. But I’ve been going since January on here so that’s why.